Missed appointments with less than 24 hours notice will be charged at 50% of the full session fee. I offer a free half hour initial consultation. My fee for a one hour session is £60. I offer a reduced fee of £80 for a one and half hour session. Missed appointments of less than 24 hours will be charged at 50% the full session fee. INDIVIDUAL SUPERVISION WITH GRAHAM MOLYNEUX. My fee for 1 hour of supervision is £55. The reduced fee for 1 1/2 hours supervision is £75. Missed appointments with less than 24 hours notice will be charged at 50% the full session fee. Groups consist of 3/4 group members. Individual members of the group pay £35 for a two hour session. The group meets once a month. One half of the two hours can be claimed for required supervision hours. I offer a free initial consultation to discuss arrangements for working together. My fees for Individual Skype and On line Counselling and Supervision are as for Individual Counselling and Supervision as above with payment in advance of sessions through bank payment. 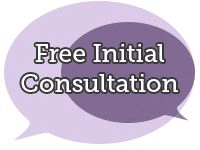 I offer a free half hour initial consultation..